← Cellphones Are Safe … Says UK Study? Shooters armed with assault rifles have prompted new worries regarding the vulnerability of the country’s vast electrical power grid. On April 16, 2013, an attack on an electric substation near San Jose, California, nearly knocked out Silicon Valley’s power supply. This attack was initially downplayed as vandalism by Pacific Gas & Electric Co., the facility’s owner. Jon Wellinghoff, who was chairman of the Federal Energy Regulatory Commission (FERC)when the shooting took place, said that attack was clearly executed by well-trained individuals seeking to do significant damage to the area, and he fears it was a test run for an even larger assault. The attackers severed six AT&T fiber optic telecommunication lines in an underground vault, which was covered by a metal lid that was so heavy it would have taken at least two people to lift it. Besides more than 100 fingerprint-free shell casings littering the area, Wellinghoff said his military experts spotted small rock piles by the plant which the attackers might have placed there earlier to mark prime firing positions. Reportedly firing bullets like those used by AK-47s — an assault weapon favored by terrorists — they blasted 17 transformers and 6 circuit breakers and caused $15.4 million in damage. This under-reported story deserved national attention when it happened nearly a year ago owing to major implications for electric-power grid vulnerability to a terrorist attack. However, the FBI must have read a White House memo that the war on terrorism is over. It says there is “no evidence” the attack was by terrorists. Never mind that a U.S. Navy SEAL team that investigated found it was highly professional, like a military operation. Never mind that the attackers also knew how to cut telephone cables, understood the importance and vulnerability of transformers, and sprayed them with AK-47 fire, the favorite assault rifle of rogue states and terrorists. The perpetrators, whoever they were, got away clean, and nearly a year later they have not been apprehended by the FBI. Regarding the discrepancy between an FBI spokesperson and former FERC chairman Jon Wellinghoff calling the attack near San Jose, CA an act of terrorism, contemplate the words below where seemingly there exists a semantics issue on what the FBI will allow to be called “terrorism.” Which person has the best interests of the public in mind? The point here is that Mr. Wellinghoff likely came forward because he knew the attack was something that should not have been characterized or downplayed by the utility as “vandalism,” … which would generally fall into the category of malicious mischief. 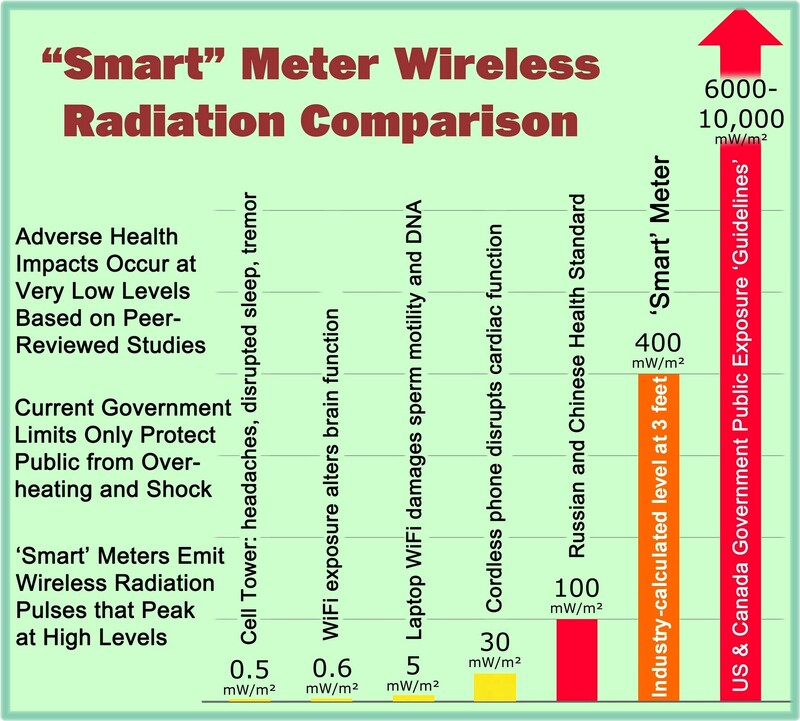 This entry was posted in Smart Grid, Smart Meters, and RF Emissions and tagged Electric Grid Vulnerability, Terrorist Attack. Bookmark the permalink. Subsequent to the article being posted at this website, an opinion piece was written for the Wall Street Journal that contains some relevant unbelievable words at http://online.wsj.com/news/articles/SB10001424052702304558804579376700294221162?mg=reno64-wsj&url=http%3A%2F%2Fonline.wsj.com%2Farticle%2FSB10001424052702304558804579376700294221162.html. The person who wrote this opinion piece disgustingly talks about the substation attack, so-called SMART METER PARANOIACS, 15-year-old males, Ted Kaczynski, al Qaeda, and Timothy McVeigh all in the same paragraph as if they deserve equal treatment (or deference?). … And this person apparently doesn’t share the perspective of Jon Wellinghoff that our grid isn’t adequately protected … or maybe he just doesn’t care. In the end, it is unclear as to the purpose of the opinion piece other than to be a collection of unseemly metaphors, including “hail of gunfire” which in his “opinion” can evidently originate from all of the above named sources. Nearly 170 insulators were shot out in a transmission line capable of carrying 10 percent of the electricity used throughout New England. CONCORD, Vt. — An official with the Vermont company that owns the state’s electrical transmission grid says vandalism to a line that runs from Quebec to Massachusetts cost New England ratepayers about $1 million. Vermont Electric Power Company Vice President Kerrick Johnson says that cost was to buy replacement power while the line in the Northeast Kingdom town of Concord was shut down for repairs. Replacing the shot-out insulators cost about $250,000. The transmission line is capable of carrying 10 percent of the electricity used throughout New England. The damage was discovered last Friday and took two days to repair. The Caledonian Record reports 167 insulators were shot out. The case was reviewed by state and federal authorities to determine if it was terrorist-related, but it’s being treated as vandalism. CONCORD, Vt. (AP) — Two adults and two juveniles from New Hampshire have been charged with gunshot damage to Vermont insulators on a major electric transmission line that runs from Quebec to Massachusetts. Vermont Electric Power company, which owns the state’s transmission grid, said it cost New England ratepayers about $1 million for replacement power. The company said it cost about $250,000 to replace the shot-out insulators. A police investigation led to Littleton, N.H., where a search warrant at a residence turned up evidence. The four were charged with felony unlawful mischief and reckless endangerment. The adults are 19-year-old Patrick Bummer of Bethlehem, N.H., and 18-year-old Jordan Hamel of Littleton. All are scheduled to be in Caledonia Superior Court on Dec. 13. The damage was discovered last week. Either way, the grid is vulnerable…. Good Post. True and scary. I like how you did the video.